Leftover rotisserie chicken recipes save time and a little money! These recipes are perfect for lunch or dinner – includes soups, pasta, and more! If you’re trying to save time and a little money, a store-bought rotisserie chicken is a great add-on to your grocery list. Many recipes calling for diced chicken can be made with leftover rotisserie chicken. 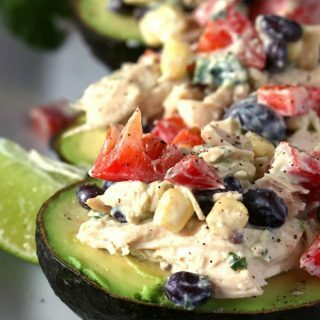 Some of my favorite recipes using rotisserie chicken are my southwest chicken salad stuffed avocados, chicken salad lettuce wraps, or my buffalo chicken dip. I usually pull rotisserie chicken apart using some forks (I get lazy) but there is a proper way to remove all of the meat from a whole chicken. Go here to learn how to carve a rotisserie chicken. Rotisserie chicken can save a lot of time in the kitchen! 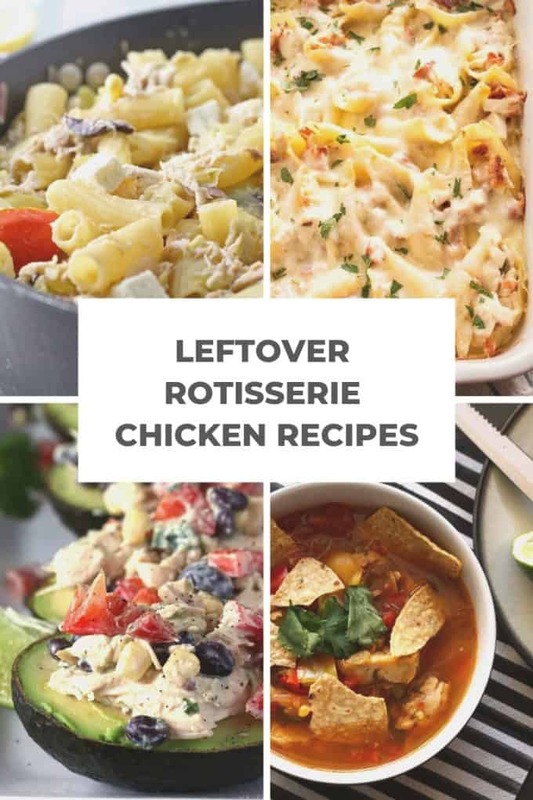 These leftover rotisserie chicken recipes are easy and delicious! 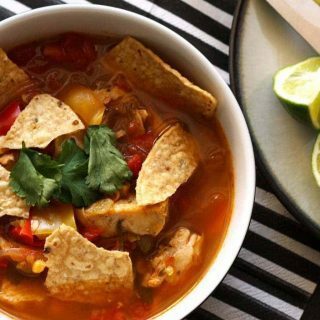 This chicken tortilla soup is easy to make thanks to rotisserie chicken. It is full of vegetables and spice! These grilled chicken salad lettuce wraps are a great addition to your lunch rotation. This is a healthy way to use up all of that leftover rotisserie chicken. 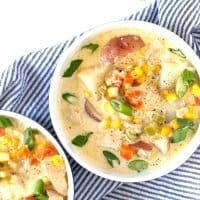 This chicken corn chowder recipe is creamy and hearty comfort food. 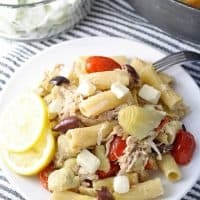 This Mediterranean pasta recipe can be in 30 minutes with a rotisserie chicken. 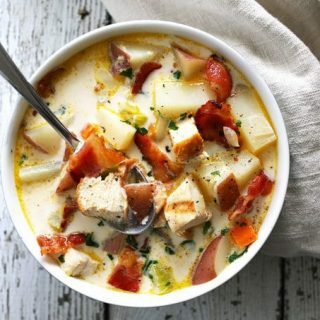 This chicken potato chowder is easy to make and super tasty thanks to added bacon. 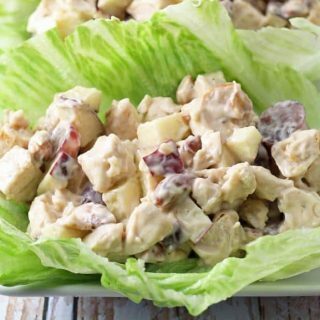 Use rotisserie chicken to quickly whip up this healthy dinner or lunch! 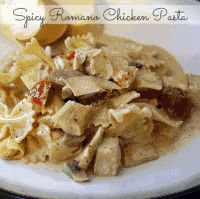 If you're looking for a leftover rotisserie chicken pasta recipe, this is it! It's also a great way to use up any leftover buffalo sauce. 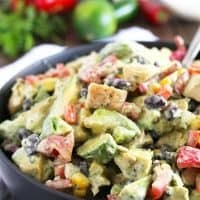 All the flavors of the southwest in one delicious salad. 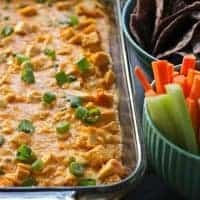 This buffalo chicken dip recipe is the perfect game day food! It tastes just like buffalo wings but with less mess and no frying. 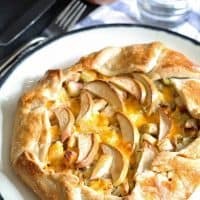 It's like a pie, but it's savory! Save time by using a rotisserie chicken! 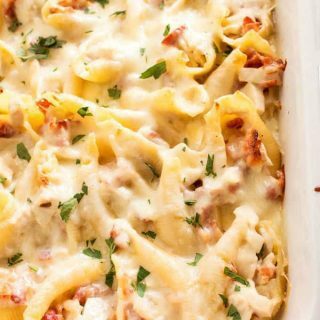 These chicken bacon Alfredo stuffed shells can be made into a rotisserie chicken casserole! 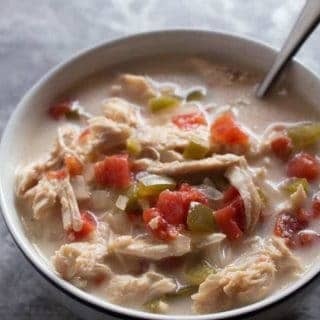 If you're looking for an easy leftover rotisserie chicken recipe, try this Chicken Fajita Soup. It's also really healthy! 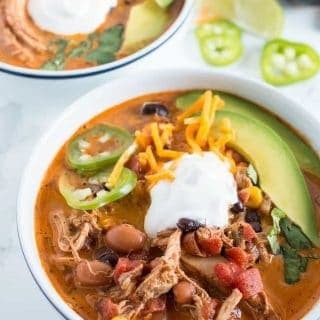 This creamy chicken taco soup is great for busy weeknights! 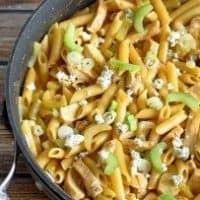 It is has a lot of flavor and works great as leftovers for lunch. 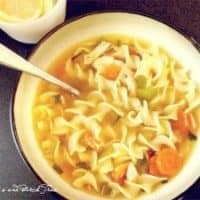 This is a spicy version of a leftover rotisserie chicken soup. Serve it with a salad for a complete meal! So much flavor in one pan!